This is a tasty Thai-inspired meal that Lee made up. 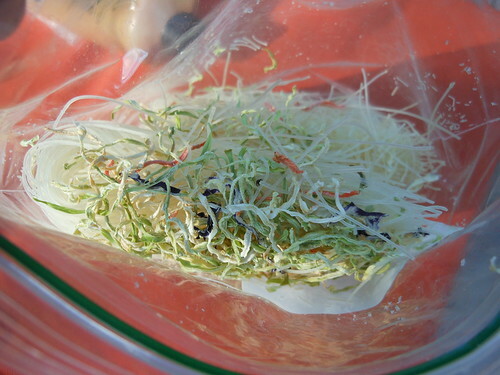 Dehydrate the coleslaw mix – it gets really small. Pre-break the noodles into bite-sized pieces (shorter than the shortest dimension of your bag). 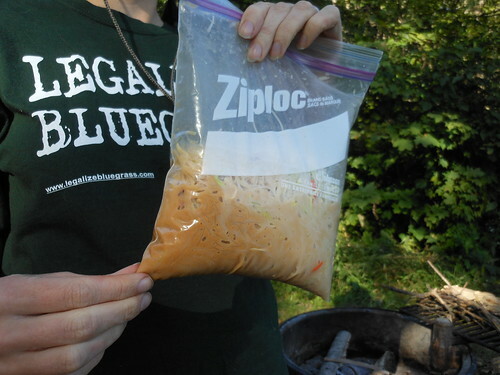 The noodles are needle-sharp and will poke holes in the bag very easily. Mix the sauce and put in a container of your choice. We used a squeeze tube, which worked nicely. 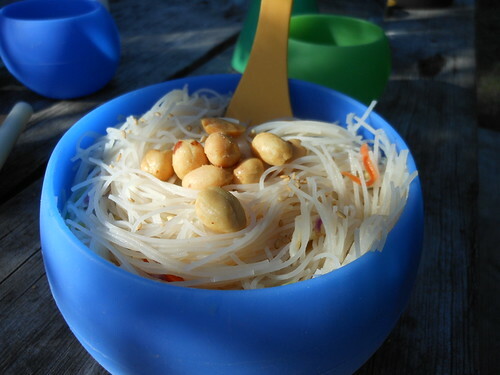 Containerize the toppings – we twisted them into a bit of plastic wrap. 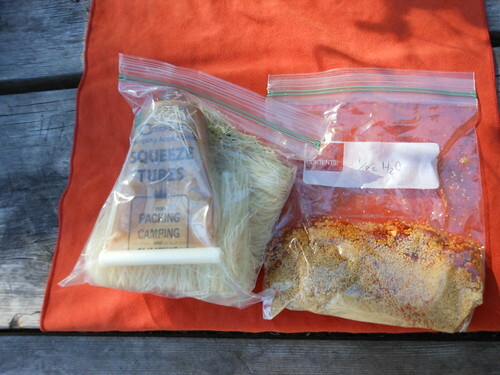 Put everything into a freezer Ziplock-type bag, and write how much water you’ll need (based on the noodle packaging). Remove the sauce and topping containers. Add water. Mix, mix, mix. 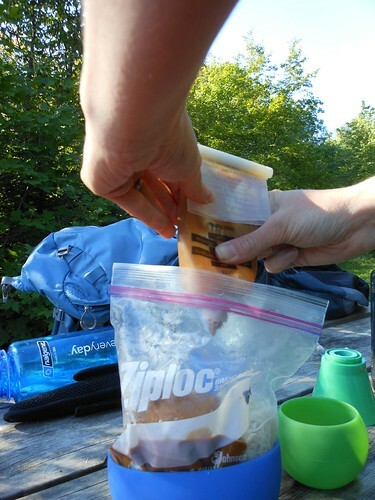 If you poked holes all over your bag, transfer everything to bowl before too much drips out. This was very yummy. Pretty spicy, adjust the seasonings to your taste. Dehydrated cabbage stays crunchy when it's rehydrated, which is a nice change.